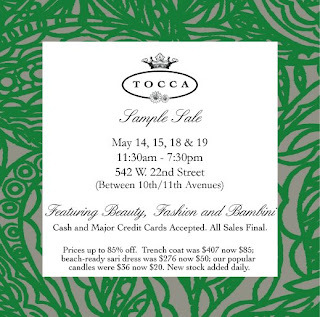 Sale Alert: Tocca Sample Sale | Fashion. Style. Beauty. | Life is short. Live well. We’re huge fans of Tocca so we had to share this invitation. We’ll see you there!